16 | Monastero di San Placido Calonerò - Istituto Agrario "Pietro Cuppari"
Era una sera d’ottobre del 1535. L’imperatore Carlo V, reduce dai trionfi di Tunisi contro gli infedeli, sorpreso da un temporale, si rifugiò per la notte nel monastero di San Placido Calonerò (da “acque belle” in greco, perché sorto nei pressi di una sorgente), dedicato al martire cristiano. E in quella notte, colpito da un fulmine, morì un suo cortigiano. Ma le origini del complesso benedettino sono più antiche di circa due secoli. Già nel 1368 il monastero era diventato abbazia, riconosciuta dal papa. Nel XVI secolo, il centro religioso e culturale venne ampliato e abbellito con due splendidi chiostri, per festeggiare il ritrovamento a Messina, nel 1588, delle reliquie del martire san Placido. Nel 1633 il monastero fu abbandonato dai monaci e nel 1866 confiscato dallo Stato. Secondo recenti studi, sorse sui resti dell’antica Villa romana di Santa Melania, dove fu sepolto Rufino di Aquileia. Interessanti i vasti ambienti ipogeici, come pure la piccola cuba nel giardino a sud del monastero. 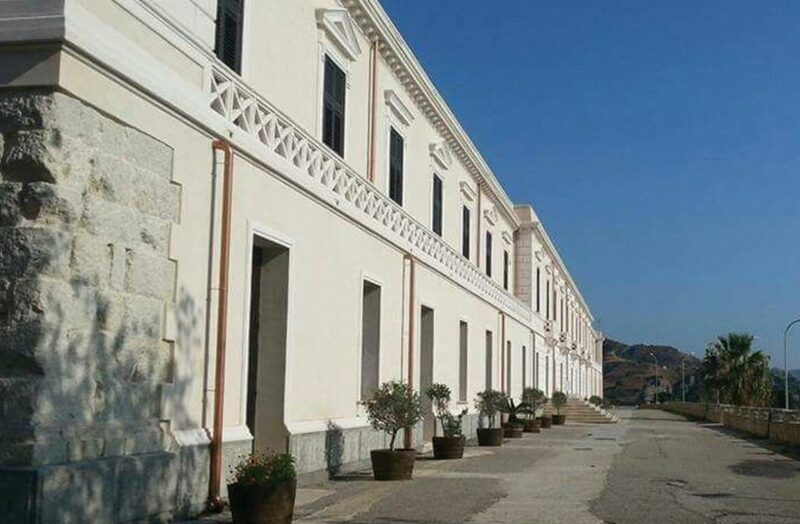 Oggi l’edificio è sede di un Istituto scolastico agrario, dove si studia, si sperimenta e si produce anche il vino. The historic place of prayer where the emperor Carlo V stopped. It was an October evening of 1535. 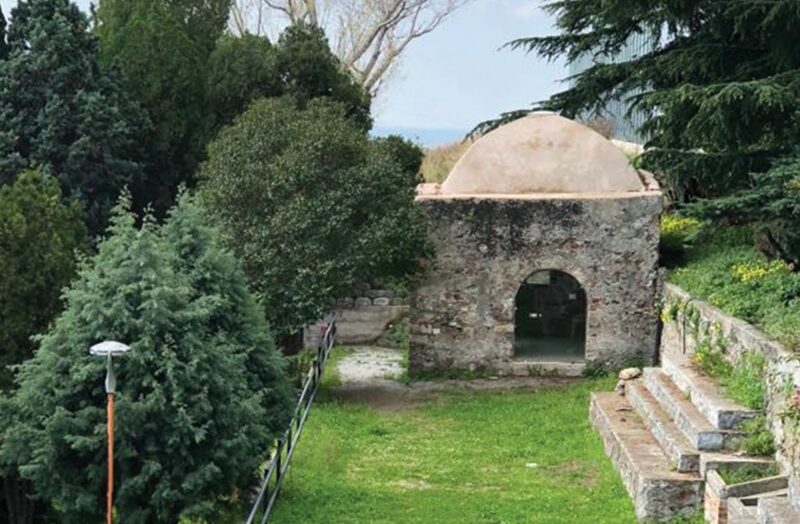 The emperor Carlo V, back from the triumphs of Tunis against the infidels, caught in the rain, took refuge for the night in the monastery of San Placido Calonerò (calonerò comes from the Greek, “beautiful water”, as it was built near a spring) named after the Christian martyr. That night one of his courtiers died, struck by lightning. But the origins of the Benedictine complex are about two centuries older. Already in 1368, the monastery had become an abbey, recognized by the Pope. 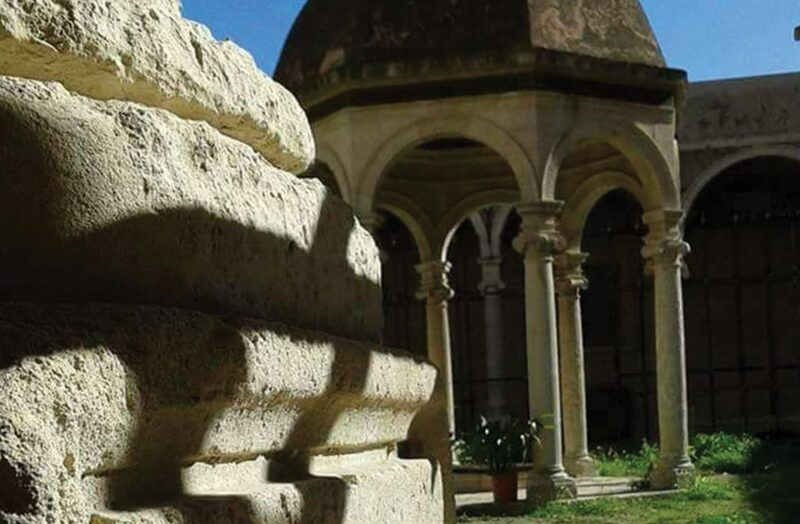 In the sixteenth century, the religious and cultural centre was enlarged and embellished with two splendid cloisters to celebrate the discovery of the relics of the martyr San Placido in Messina in 1588. In 1633 the monastery was abandoned by the monks and in 1866 was confiscated by the state. According to recent studies, it was erected on the ruins of the ancient Roman Villa of Santa, where Rufino di Aquileia was buried. The vast hypogeal environments and the small cuba (building meant for entertainment) in the garden south of the monastery are interesting. Today the building is the seat of an agricultural school, where young people can study, perform experiments and where wine is produced too.